Don't have time to read this now? Pin it and read it later! We traveled with another couple and opted to share a vacation rental. 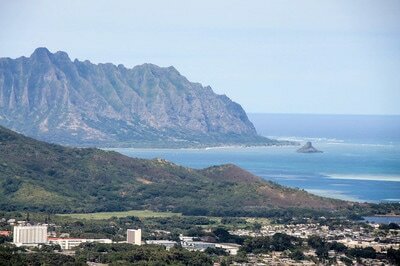 We stayed on the windward side of the island, 4 nights in Waimanalo and 6 nights in Kailua. Both places had lots of space, tons of great perks, including sand toys for the kids, beach blankets, coolers, snorkel equipment and a fully stocked kitchen so we could make the majority of our meals at “home”. We loved having space for the kids to crawl around and play and for the adults to relax after the babies went to bed. 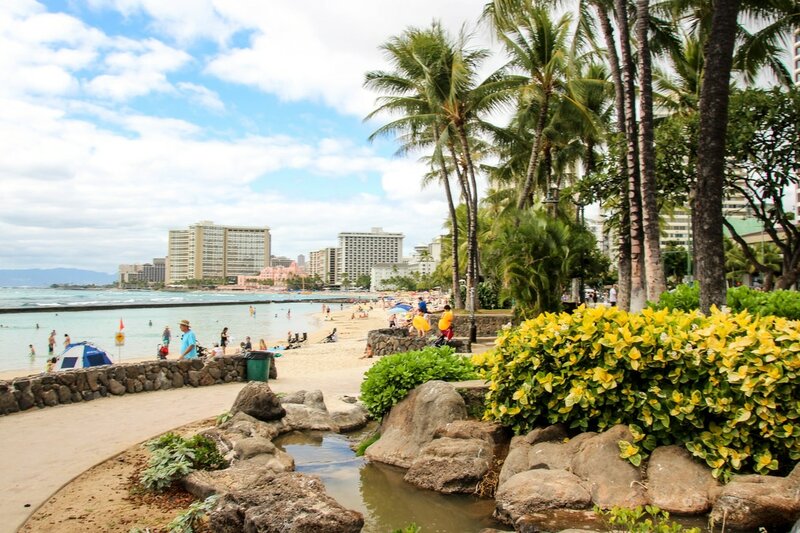 The location was great, close to some beautiful beaches, about a half hour from Waikiki and Pearl Harbour and 45 minutes to an hour from the North Shore. To really take advantage of everything Oahu has to offer, a rental car is a must. 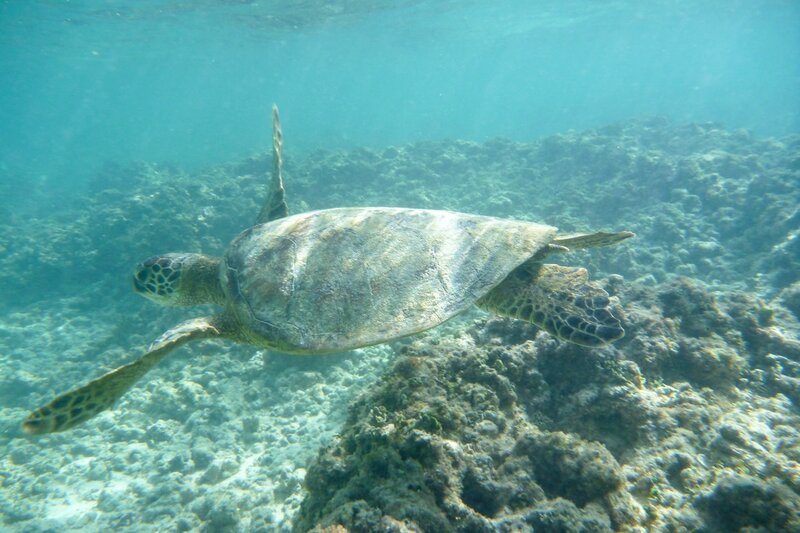 We found that most of the sites we wanted to see were about 30-45 minute drives and spread all over the south, east and north parts of the island. We booked ours through Costco and picked it up just outside of the airport using a free shuttle service. Having a car was fantastic – it gave us the flexibility to do things on our own time, stop when we needed and alter our plans if weather (or babies) required. This nature preserve is incredibly popular, with over 3000 visitors per day, with good reason. 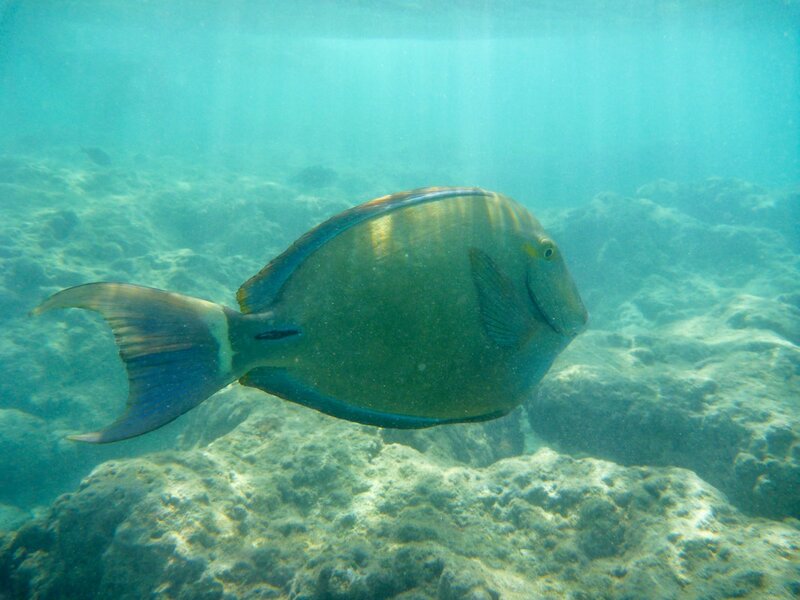 The sheltered bay had beautiful, calm, crystal clear water and the variety of fish you saw while snorkeling left me speechless. 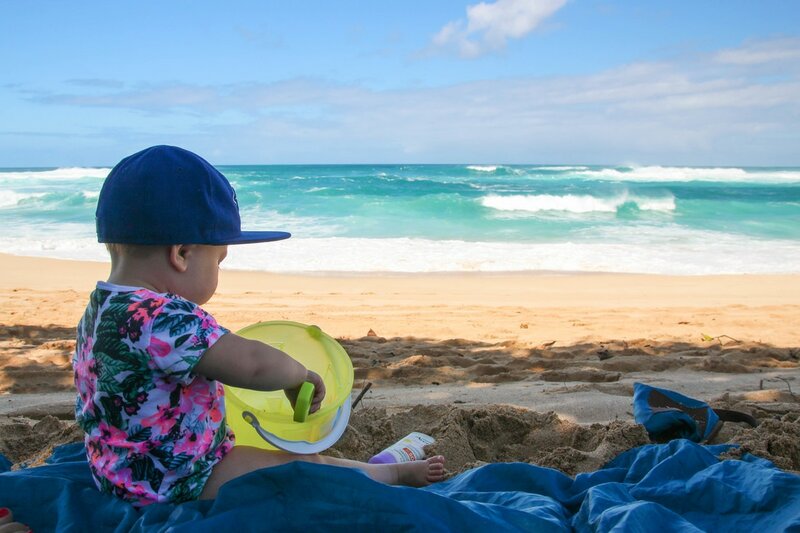 While it’s not a beach that you would want to go to in order to enjoy a quiet day of swimming, it is a definite must do while you’re on Oahu. Even though it was very busy it never seemed to be overly crowded in the water and the beach is long and sandy so there is lots of space for everyone. You have to pay a small fee to enter the preserve and watch a video about how to respect and protect the coral. ​Tips: Hanauma Bay is closed on Tuesdays and is especially busy on weekends and holidays. Get there early! We got there around 8 a.m. and the parking lot was filling up quickly. You can rent snorkel equipment there so it’s a great place to go if you don’t have access to your own equipment. If you don't have a car there are lots of tours that will arrange transportation for you. Alternatively there is a public bus stop right at the entrance if public transportation is more your style. We spent two full days enjoying the sights between our apartment in Waimanalo and the North Shore. We took our time, stopping along the way to sample Shrimp at Giovanni’s Shrimp Truck and haupia pie at Ted’s Bakery. 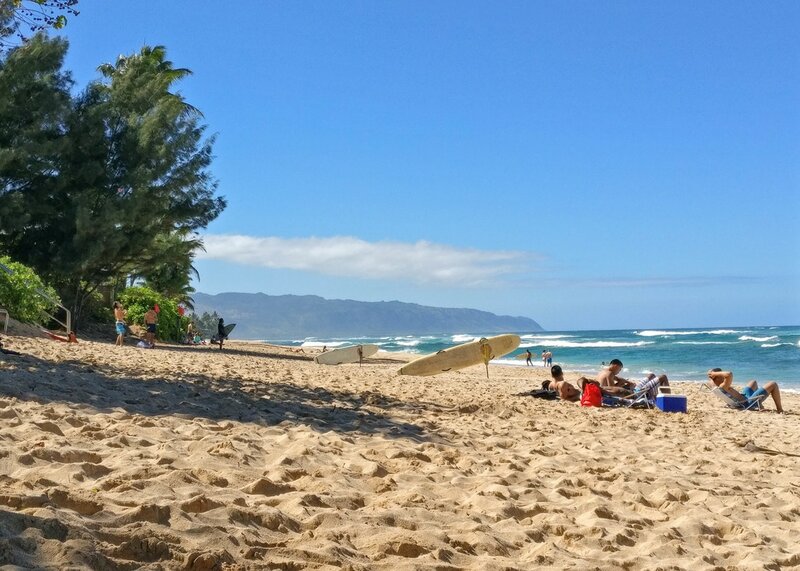 Banzai Pipeline is known for huge waves and it did not disappoint! 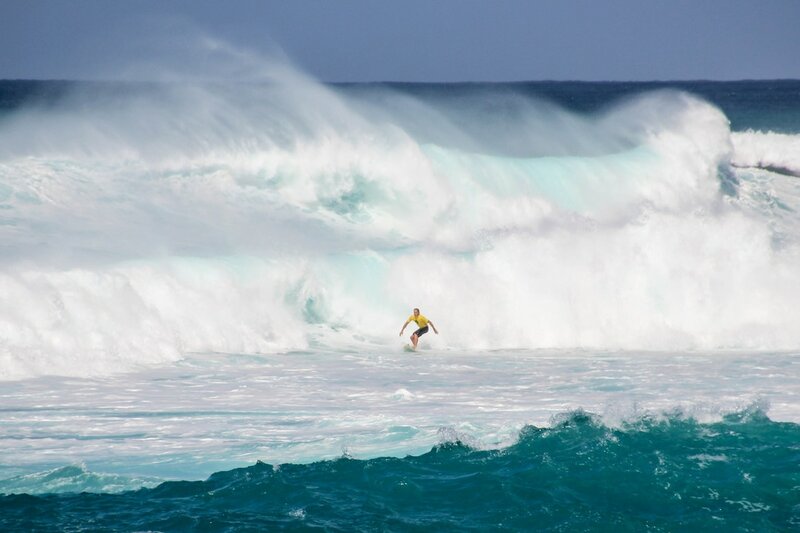 There were waves 25-30 feet high and a World Surf League surfing competition going on. We saw a sea turtle named Oakley at Lanikea Beach, wandered around the main strip of Haleiwa, and enjoyed shaved ice from Matsumoto’s. We were lucky to see a pregnant monk seal sunning on the beach about halfway to the North Shore and spoke with a fantastic volunteer there who told us all about these amazing endangered species. On our drive home, we stopped at the Dole Plantation for pineapple soft serve. 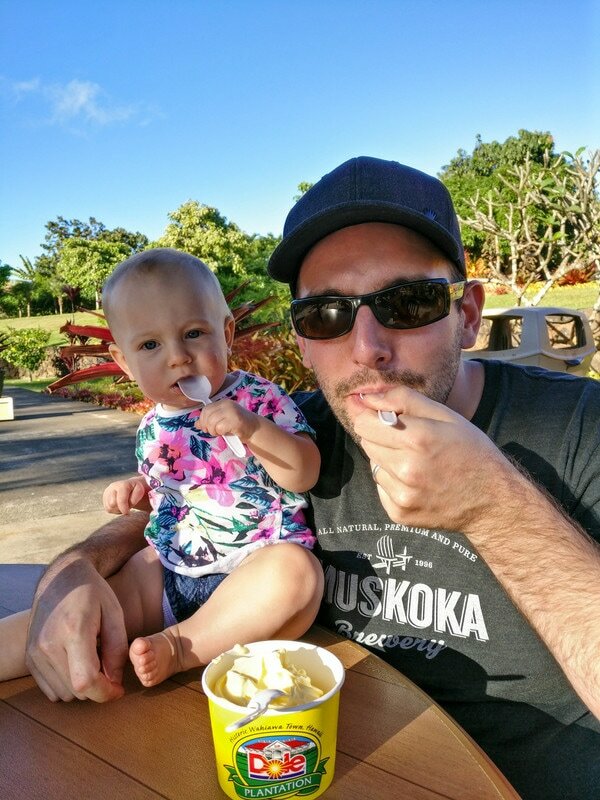 As you can tell – there’s a lot of great food and desserts on the island and we made sure we sampled them all!! Not for the faint of heart, this 1048 step climb to the top of Koko Crater was a huge challenge! With a gain of almost 1000 feet and one 20 pound baby per couple, our quads were burning by the end of the hike! During WWII a military lookout was created on the top of Koko Crater and a railway was created in order to get supplies to the top. Now abandoned, the railway ties create steps and a path to the top of the hill where you can look out at Hanauma Bay and Diamond Head on one side and Makapu’u point on the other side. 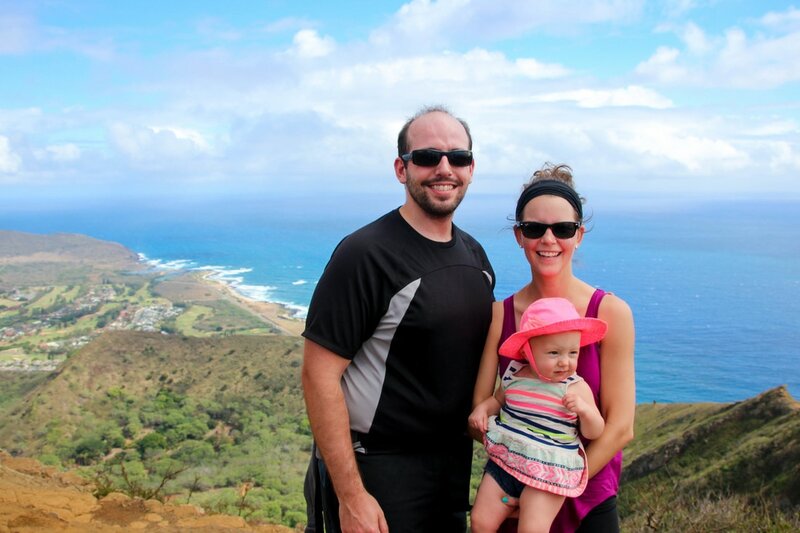 We took our time getting to the top, stopping often to rest our legs and also to take in the views back toward Hanauma Bay and the steps we had already completed. Tips: Wear good shoes, there are some steep portions and lots of uneven terrain. If you want to avoid the area where the steps are quite wide with nothing but a 15 foot drop underneath, there is a small trail that skirts around it. Take lots of water and try to avoid the midday heat, there is very little shade on the trail. Waikiki is jam packed with kitschy stores, expensive restaurants and tourists but there’s a reason for it! The beach is beautiful, the water is calm – perfect for beginner surfers – and everything you need is in walking distance. 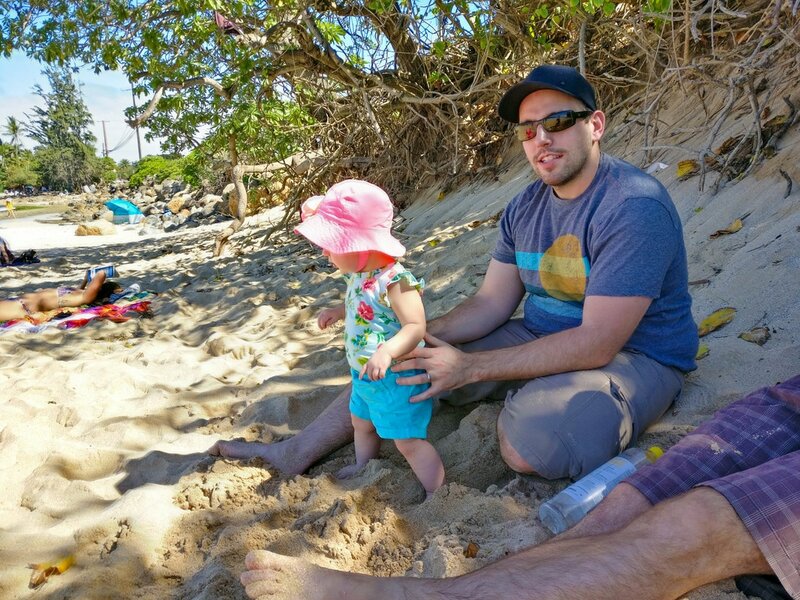 We were happy to spend a day poking around and enjoying the beach. 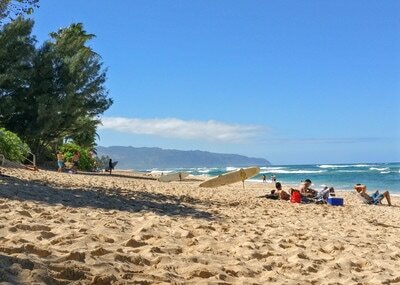 We even managed to find a quieter area away from the crowds on a beach a short walk west of Waikiki Beach itself. 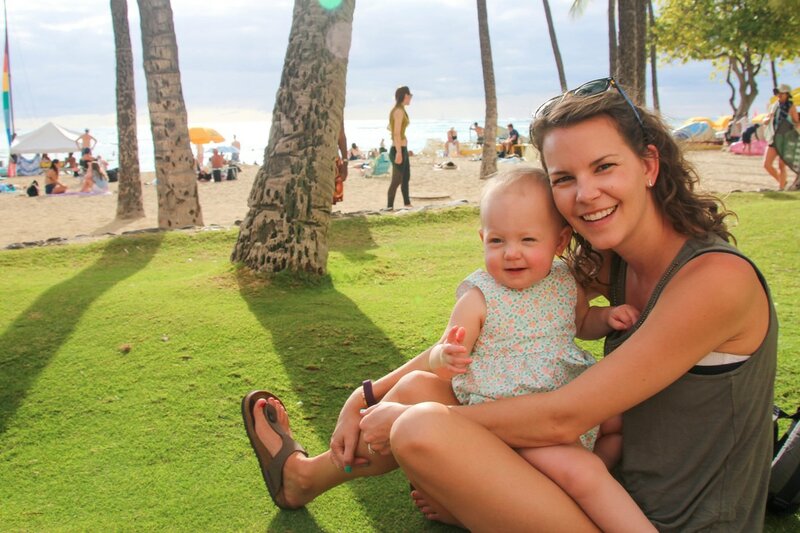 We enjoyed having happy hour drinks on a patio, enjoying lots of live music, and a late night walk on the beach. In keeping with our theme of enjoying all the desserts the island has to offer, we picked up some still warm malasadas (Portuguese donuts) from Leonard’s bakery to enjoy on our way home. Tips: If you’re driving in for the day parking can be expensive. There are certain places that will give you discounted parking with a food purchase and it is worth searching out whether any of these appeal to you. We were able to get very inexpensive parking at the Royal Hawaiian Centre and enjoyed poke at a great sushi restaurant for lunch – something we had wanted to do anyway! Luau’s are touristy and can seem expensive, but we really enjoyed it and found it was well worth the money. The food was great, there were lots of activities to partake in before the dinner started and the entertainment was wonderful. Not to mention the view of the ocean in the background was unbelievable. While the Chief’s Luau doesn’t get the sunset view like some of the luau’s on the west side of the island do, it was still beautiful scenery. We left with a smile on our faces. We did a 90 minute movie site tour, booked in advance on their website. We got there early and had a chance to walk around, see the horses (the highlight for the babies) and watch some clips from movies that had been filmed at the site. We were taken by bus around the ranch to check out some of the more famous spots where movies and shows like Jurassic Park, Lost, and Godzilla were filmed. We enjoyed seeing the beautiful ranch and hearing the history of how it was used during the second world war as a military outpost, but the tour was expensive and we didn’t feel like it was the best bang for our buck. There are other opportunities on the ranch like horseback riding and ATV tours that might be a better fit for your family but weren’t ideal for our travel situation. Unless you are a super big movie buff, though, this might be a disappointing experience. It's no wonder why Manoa Falls is one of the most popular hikes on Oahu. It is short, at 2.5 km round trip, and the terrain is easy enough for little feet to manage. You start hiking under a lush canopy and before long you are in the middle of bamboo forest. There are eucalyptus and guava trees and you scamper over rocks before ending up at the base of a waterfall, 150 feet high! While you can't swim at the base of the waterfall anymore, the hike is still a wonderful way to spend a couple of hours. The parking fee is 5 dollars per vehicle and the parking lot is located at the very end of Manoa Road. 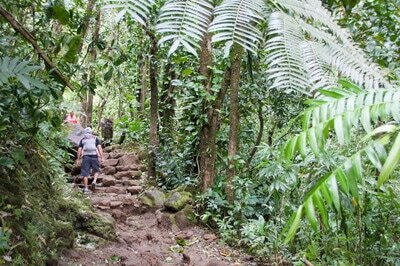 Tips: The Manoa Falls area can see sporadic rain, in fact it's one of the rainiest spots on the island but much of the trail has good cover. Bring a light rain jacket, water and a bag to protect your camera in case you encounter a bit of a downpour. It’s hard to imagine while you’re snorkeling, enjoying the beach and hiking around the beautiful island that this was where World War II started for the United States. 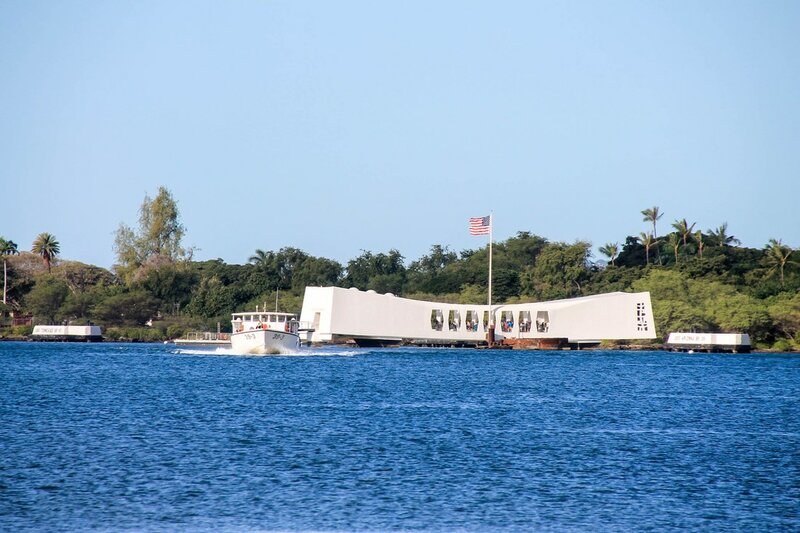 Visiting Pearl Harbor and the USS Arizona memorial gave us a glimpse into what life was like in 1941 leading up to, and following, the attack on Pearl Harbor. 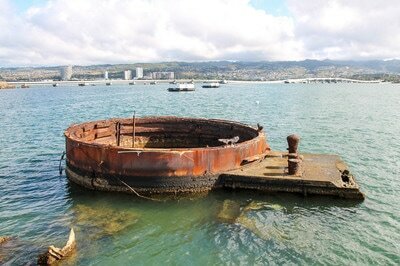 We actually went to Pearl Harbor twice. On the first day we went bright and early but high winds had cancelled the boat the went out to the USS Arizona memorial. We decided to stick around, and spent the better part of half of a day browsing the site. There are two exhibits that you can see for free: one that documents the history leading up to the attack on Pearl Harbor and one that chronicles the attack itself. The timeline of the attack and the video, pictures and first hand accounts from survivors, both military and civilian, were incredibly moving and we spent lots of time taking it all in. 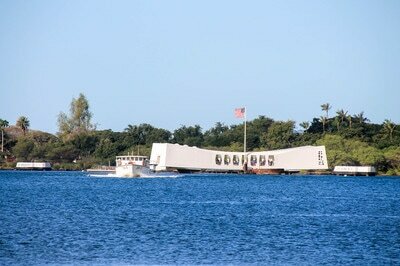 The trip out to the memorial starts with a 23 minute documentary about the attack on Pearl Harbor followed by a short boat ride out to the memorial. You have about 15 minutes to view the memorial before heading back by boat to the main land. 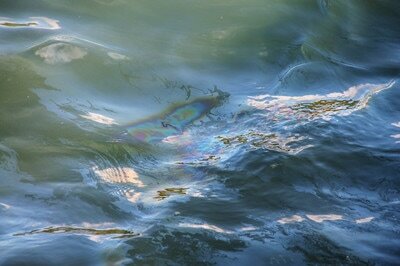 The memorial is located directly on top of the sunken remains of the USS Arizona, where over 1000 of those killed in the attack are still entombed. At the memorial, you can see the names of each of these men engraved and read about how some survivors of the attack are choosing to have their remains brought back to the USS Arizona to be reunited with their crew mates. Some of the portions of the boat above water including two of the gun turrets and if you look along the water you can see oil slicks, sometimes called "tears of the Arizona", from the oil that still leaks from the ship. The whole experience was incredible and it’s definitely a must do if you are on Oahu. Tips: The tickets to the memorial are timed and there are only a certain number given out every day. While you can go to the visitors centre and get your tickets on a first come first served basis, you can also reserve your tickets 24 hours in advance for a $1.50 charge on the US Government Recreation site. Strollers aren’t allowed on the boat or memorial site so make sure you bring either a carrier or plan on holding your baby for a total of 45 minutes. If you are a history buff or you want to check out any of the other museums and monuments on the site, plan on spending a whole day. If you want to go to the bowfin submarine museum, know that children under the age of 4 aren’t allowed on the submarine for safety reasons – this includes infants who are being carried. Check out other FAQ about the visitors centre and memorial site here. There are so many other things we could have done and simply not enough time. 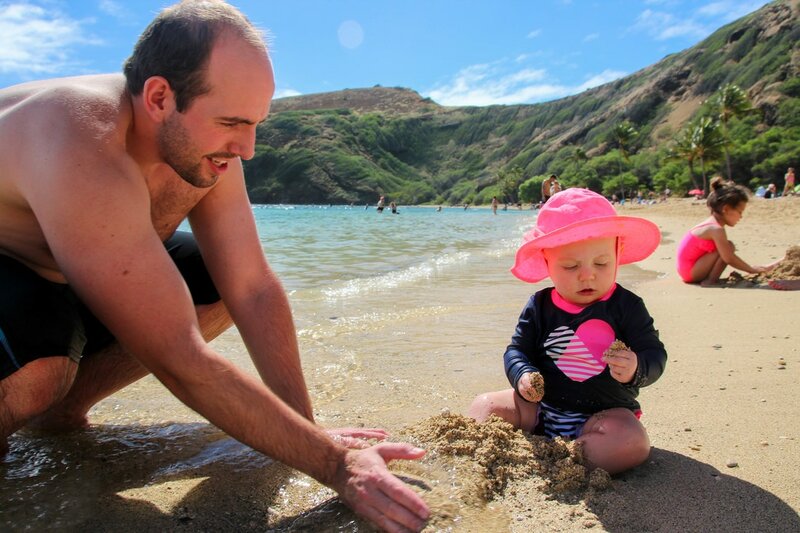 We would have loved to do the Diamond Head or Pillbox hikes, or to try surfing or stand up paddle boarding but we wanted to have lots of time to relax and move at our own pace as well. 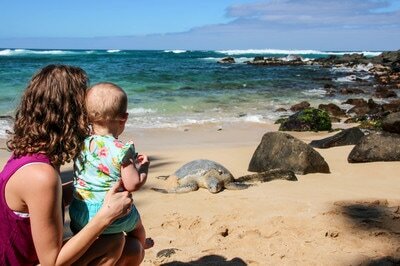 It just means that we will have to head back to Hawaii, soon! 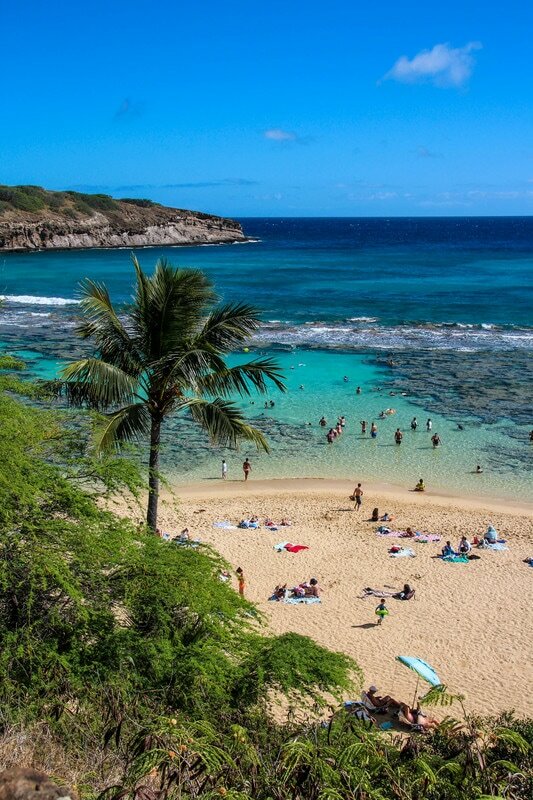 Have you been to Oahu? What was your favorite part?